...WE GO BEYOND THE LIMIT. WE PROTECT YOU AND YOUR ENVIRONMENT. 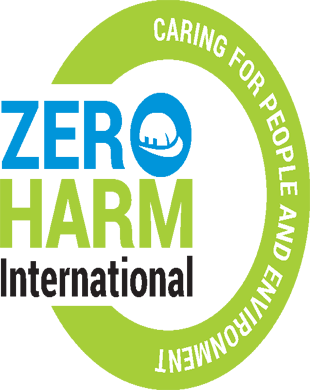 We are a safety engineering, loss prevention, environmental and consultancy firm. We are an independent and employee-controlled international health, safety, security and environmental consultancy firm offering an extensive network and diverse experience in various industries for providing high quality tailored services to our clients. We are a dynamic, responsive and fast growing company with an expanding network of offices in Africa and Middle East. As an employee-controlled company, whose interests are aligned with the satisfaction of our clients, we are motivated by our professional competence at what we do. Our teams are focused on understanding clients’ needs and providing first-class customer care and straightforward consultancy advice..
At Zero-Harm Int., We offer best and cost effective training and consultancy services with the best hands on boards to give our clients the best services they require. 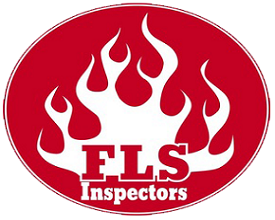 With our Fire & Life Safety (FLS) service we ensure optimum safety through the interpretation of fire protection codes and standards and the application of engineering principles..
With stakeholders increasingly require evidence of your organizational environmental performance and compliance to legislation, guidelines or technical specifications. Zero-Harm International is a safety engineering, loss prevention, environmental and consultancy firm, We are an independent and employee-controlled international health, safety, security and environmental consultancy firm offering an extensive network and diverse experience in various industries for providing high quality tailored services to our clients. We are a dynamic, responsive and fast growing company with an expanding network of offices in Africa and Middle East..
Our vision is to become the biggest and most effective one-stop solutions consultancy by providing extensive and effective Health Safety Security and Environmental Programs for the success our valued clientele. Providing timely innovations and quality in a cost-effective manner by employing effective and efficient business practices that adds quality to the services we provide. Our mission is to lead the industry as a qualitative, ethical business providing a one-stop management consultancy and a win-win partnership for our clients. We will always strive for excellence in the services we provide to assist private and public sector organizations in the design, development and implementation of HSS&E best practices vis-a-vis global standards as to meet the corporate social responsibilities to all our stakeholders. We continue to tailor our services to fit into any organizational capability, enabling them to compete worldwide and convert potential risks and challenges into manageable and achievable targets. •	Planned growth built upon a solid strategic foundation •	Further enhance our culture built around quality training. •	Continuing to cultivate diversity in our people, purchases and projects •	A true commitment to finding and nurturing a new generation of techniques to aid our services and make us the true leader in our field. •	Creatively developing new value-added services for our clients and partner. •	Zero-harm achievement by implementing best practice •	Total Customer Satisfaction and total Quality Management •	Quality workmanship and on-time completion are critical to our success. •	Great people make great company-quality training is the key. •	Commitment to community welfare and environmental protection as integral part of our corporate vision. •	Security of life and properties should be given priority always. •	Working together to achieve controlled costs for our customers’ loss prevention strategies. Awarded with many professional certifications , he is a co-founder of the organization with a vast array of experience for over 15 years in the field of occupational health and safety, consultancy, training and development. 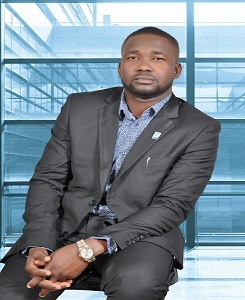 Adekunle Okeowo, a co-founder and seasoned HS&E Consultant, having over 12 years of experience within the public and private sectors both within and outside Nigeria in roles including project H&S management, Health, Safety and Risk Management, Solid Waste Management, Environmental Audits/Management, Training, Consultancy.